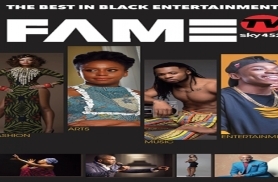 Home | African and Caribbean TV channels & Movies on your TV and mobile APPs . UN1TY is your exciting new platform for Afro-Caribbean content. Watch live TV channels, live events and movies from virtually any device of your choice!! The UN1TY mobile apps are available for your IOS, Kindle, Android and some blackberry mobile devices. An existing OHBoX account is also valid on the UN1TY platform. Content purchase can be made via Paypal or PC/Mac device and viewed on any of the platforms of your choice. Movies purchased on the APP expires after 48hrs.